I’ve got another exciting news! 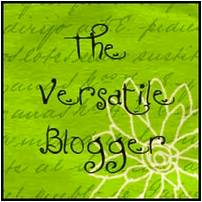 I’ve been awarded by Amy of SnazzyBiscuits and Daisy from NeverTooSweet the Versatile Blogger Award and the Sunshine Award! (: I do have to apologise cause I’m actually really late in sharing this news. Daisy actually gave me the two awards ages ago! So so sorry! But I was really surprised and very honoured! Really appreciate all the support and comments given by all of you readers! It’s my motivation to keep blogging! So thank you! 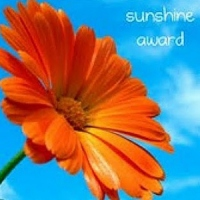 Just in case you don’t know what this award is for, the Sunshine award is awarded to “bloggers who positively and creatively inspire others in the blogosphere”. Aww thanks so much Daisy! 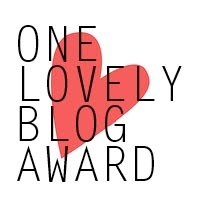 Another award that I’ve recieved of late is the One Lovely Blog Award by Ames, Kelly and Piggyatealot ! Thank you so much. All these awards motivates me to keep the post going and do my very best to come up with more recipes to share with all of you! 1. I’m born and brought up in Singapore and it is Singapore that cultivated my love for food. I came to Melbourne to study and have been here for 8 years and counting! Definitely loving Melbourne and of course the food this place has to offer! 2. Bowling. 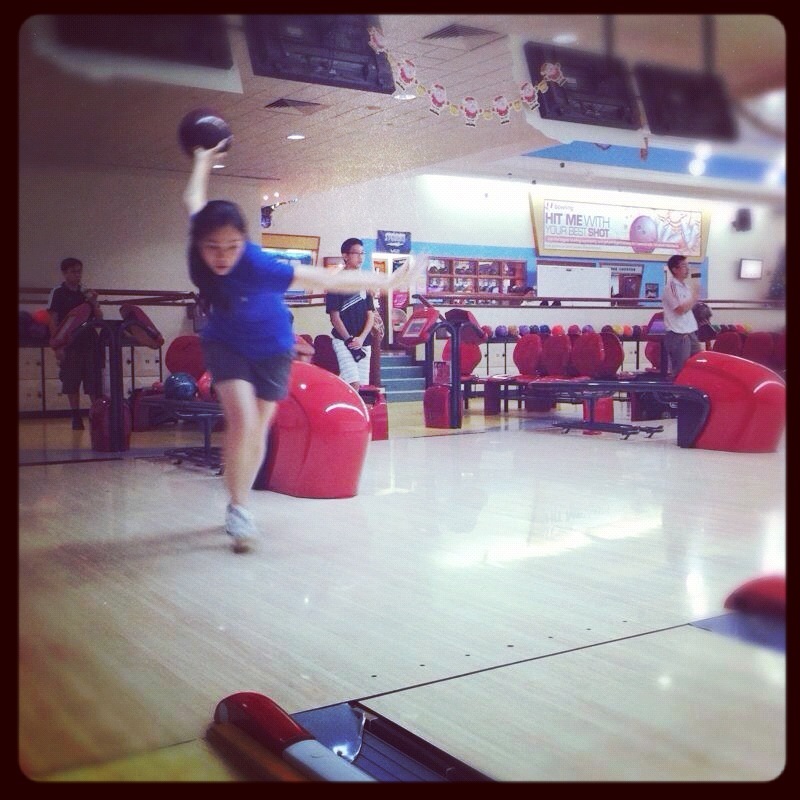 I use to be a National bowler for Singapore. I stopped for 8 years now, but am still loving the sport and will always love playing the sport. I do miss bowling competitively but the levels are far too high for me to start all over again now. haha So will just keep the good memories. 3. Weightlifting. I just picked it up maybe less than a year ago and I really enjoy myself when I’m doing it. I hate cardio you see, so strength training is something I thoroughly enjoy! And the only thing I want to do as a form of working out. 4. Family. I am very close to my family. They are my pillar of strength and I will never be who I am today without them. I am ALWAYS home sick and would love to have all the money in the world to fly home every time I have a break. haha (: Love them muchos! 6. Best Friend. 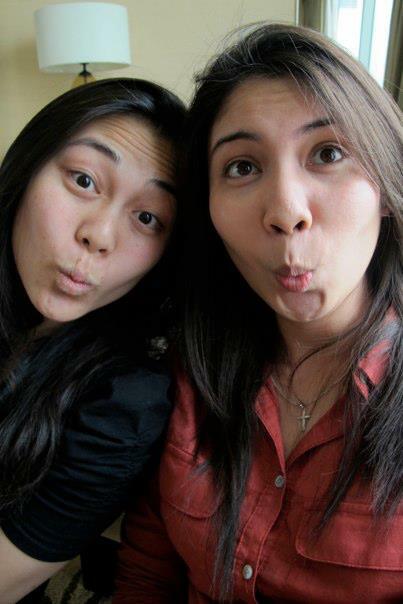 In fact, our trip to Melbourne for Asian Schools is when we started our friendship! We have the some personality and she (besides my mr) knows me inside out! We are always there for each other and there was no one else that I would choose to be my maid-of-honour! Thank you for always bring there for me! Here’s to 11 years of friendship and more! 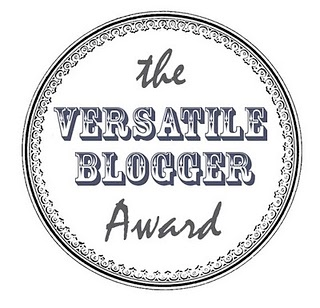 Awww thank you for the versatile blogger and Sunshine award! I love your weightlifting pic with hubby! Too cute! And you LOOK HOT STUFF at the wedding! Thank you so much for the award! I’ve only just done my 7 facts so can I just claim this? Hehe! I’m impressed with you as a national bowler… I’m a complete klutz with no exercise gene in me. Hehe. 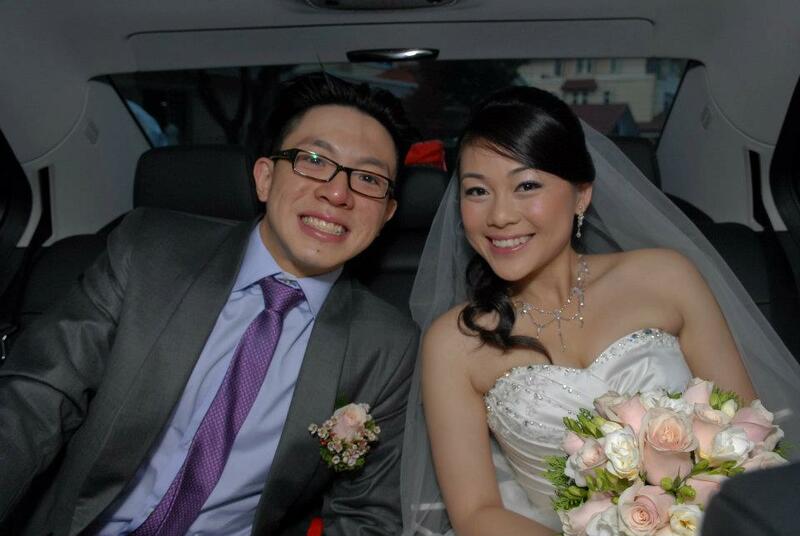 Also love the wedding photo, you look gorgeous! Thank you!! I’m so pleased you’re enjoying my blog 🙂 And you and Mr look absolutely amazing in the wedding photos. Keep up the blogging; I always get hungry after seeing your photos, even when I’ve just eaten! aww thanks Cath! and you’re most welcome! i’m always inspired by the things you cook & bake too! hehe (: so the pleasure is all mine! Congrats Lianne :)) Keep on blogging – and I think it’s awesome that you personally reply every single comment. Keep on cooking too, for seeing wonderful food on your instagram/blog always makes me hungry! hehe you’re most welcome! (: truly deserved it!